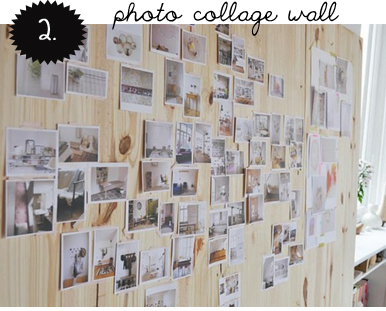 I'm dreaming of a house large enough to have ALL of the above and ALL of my other favourite rooms on Pinterest! There are way too many awesome options. 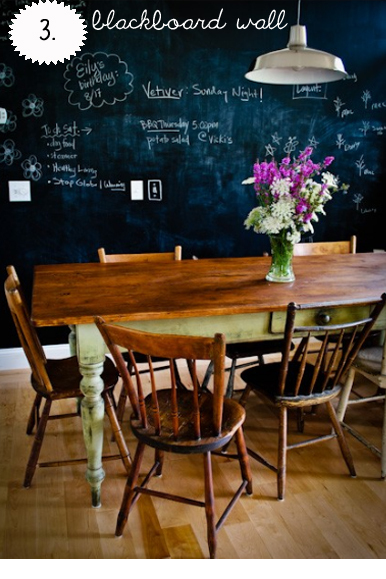 I love all these ideas- especially the chalkboard! 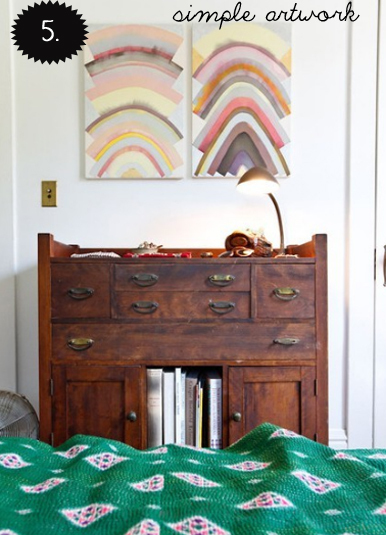 I think if it were my own house, I would do bold artwork. Good luck! I can't wait to hear what you decide to do. These ideas are so good. I personally love the fabric drop, so pretty. But all of them have their own appeal. 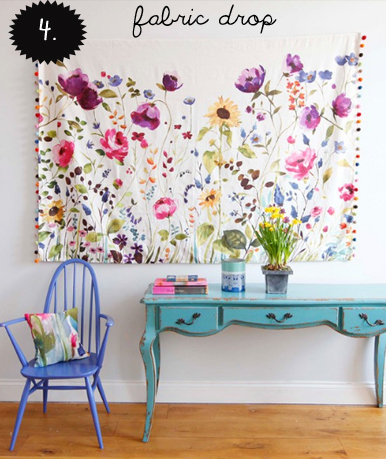 Oooh I love the blackboard and I love the fabric flowers. So pretty! I love the idea of the chalkboard, but sometimes I think it's a little too precious, if you get my meaning. Are people really going to write lists on it when they have phones or portable pens/paper? :) You can't really argue with the aesthetic value, though. I am a blackboard fan. I love it because you can mix it up with inspiring quotes, make notes or have a blast with friends drawing random pics. 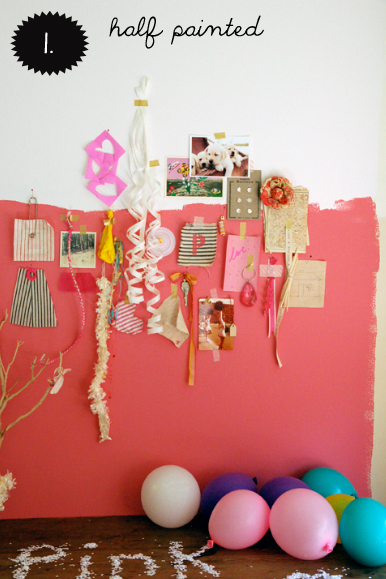 However, I do like the half painted wall too... very unique and fun!